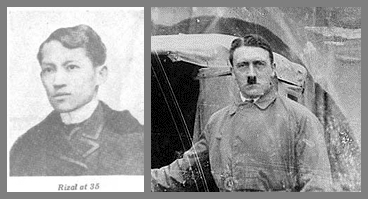 RIZAL and HITLER, Father and Son? I'm amazed and quite eager to know if there's a strong basis to an intriguing issue that Jose Rizal, our national hero was believed to be the father of Adolf Hitler, founder and leader of the Nazi Party. Because of my intense desire to know the details behind this matter, I read some articles about it and learned some theories that may lead to any conclusion to this long-time controversial rumor. To make the subject easy to comprehend, let's consider these facts opposite the unverified information. Dr. Jose Rizal was known to be a romantic lover with a bunch of women on his list and some others like the supposed mother of Hitler named Klara Polzl. Rizal traveled and studied abroad. He left the Philippines for the first time in May of 1882 and the last recorded travel was on September 1896. Hitler should have been conceived August of 1888 but these were the travels of Rizal during those dates according to Jose Rizal Website. Rizal was admitted to the reading room of the British Museum of London. He was busy with the Morga. He thought of copying the whole book and annotating it for publication as his gift to the Filipinos. Dr. Antonio Regidor, one of the exiles of the 1872 event, promised to be his capitalist. Along with the Morga he wanted also to publish Blumentritt’s "Tribes of Mindanao" including some new documents which he found in the British Museum. With the intention of writing the continuation of his first novel, Rizal asked Mariano Ponce in a letter to send him two or more copies of the Noli. Rizal planned to have a picture taken : one copy to be sent to Ponce and the other to be included in the publication of the second novel. (Hitler was conceived either in 1887 when Rizal passed through Linz or other towns (such as Brunn - how do you think he lost the diamond stickpin? And who was the "maid" who found it later and gave it to Blumentritt who forwarded it to Vienna?) near the Austrian border: in which case Hitler's older siblings were fictitious, to cover up his mother's being pregnant with him. In other words Hitler was actually born before 1889. Hitler committed suicide on April 30, 1945. Some people dispute how he died. The Nazi leader was believed to have used arsenic to poison himself. Do I believe or not? I won't say anything. I just want to leave this message and it's for you to find out for yourself. Long before the birth of Rizal or any famous people in world history had secrets and controversies like Da Vinci and his codes... Einstein, Newton and Galileo and their theories and even Jesus Christ had untold stories. The questions hanging on air up to this time may no longer be answered because of missing links and lack of supporting evidences but there's always TRUTH behind everything and anything. 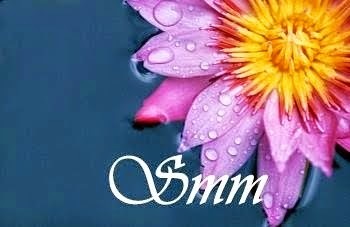 It's in our own intellectual mind that we may seek realm of whatever we want to believe and the reality that we have FAITH in God's existence even if we don't see HIM. I am a big fan of these kind of untold stories. I wonder why the have to keep secrets from us? Wow! I remember to have read many books about Rizal during my free hrs nung college but never it have occurred to me this possibility. ..hmmm..hindi ko alam kong anong papaniwalaan ko..
ay ang galing! parang gusto kong maniwalang si HITLER ang anak ni RIZAL. i dunno but from where i sit, they seem poles apart in nearly everything... Nevertheless, the theory itself is very fascinating indeed and i hope more factual evidences will be unearthed soon.